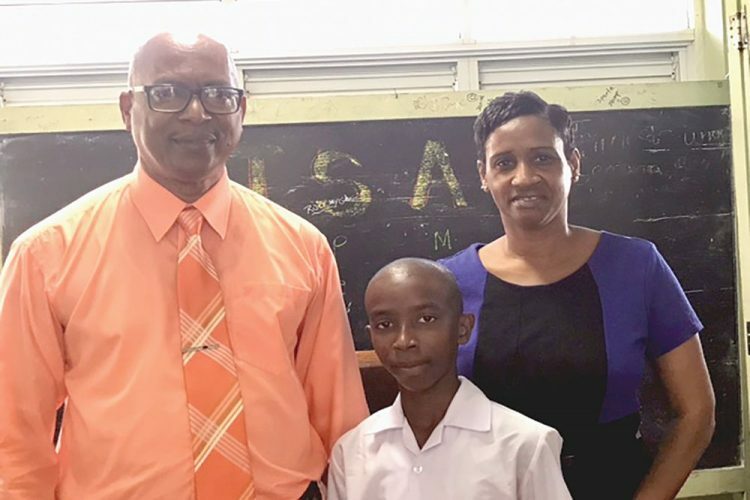 After not having a winner from that school since July 2010, Form 1 student Omari Browne of the St Clair Dacon Secondary School emerged winner of the Secondary School Bible Quiz (SSBQ) for October. Omari received his prize, which included gift vouchers from Acute Cosmetics and Jujube, $200, a Bible and more, at his schoolâs assembly on Monday, November 13, from Joel Jack the Quiz organizer. Deputy principal of the school Eve Knights encouraged the students to participate in the worthwhile venture. The SSBQ began in November 2007 and has consistently been encouraging students to read the Bible by giving useful incentives. Quiz Facebook page and in the Searchlight.